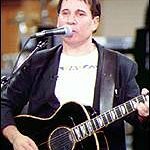 Legendary songwriter, recording artist and performer Paul Simon has announced he will perform the final concert of his Farewell Tour in the borough of Queens, where he spent his formative years. 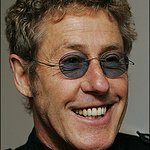 On Saturday, September 22 at Flushing Meadows Corona Park, Simon and his band will bring to the stage a stunning, career-spanning repertoire of timeless hits and classics, as well as a unique selection of songs the artist has selected for this once-in-a-lifetime show. Tickets for Paul Simon’s Homeward Bound – The Farewell Performance at Flushing Meadows Corona Park will go on sale beginning Friday, June 29 at 10 a.m. ET at axs.com. American Express Card Members can purchase tickets before the general public beginning Monday, June 25 at 10 a.m. ET through Thursday, June 28 at 10 p.m. ET. The event is produced by The Bowery Presents and Madison House Presents, New York City’s premier concert producers.